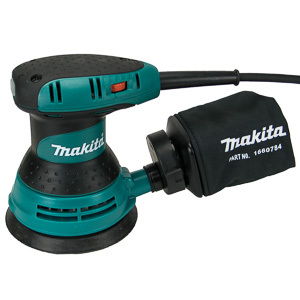 The difference in performance between the cheapest and the most expensive jigsaw in the market is very large. Like everyone else I am pining after the shiny high priced models. Every time a new one comes out I am hoping it will be the one that breaks the trend and offers affordable quality. 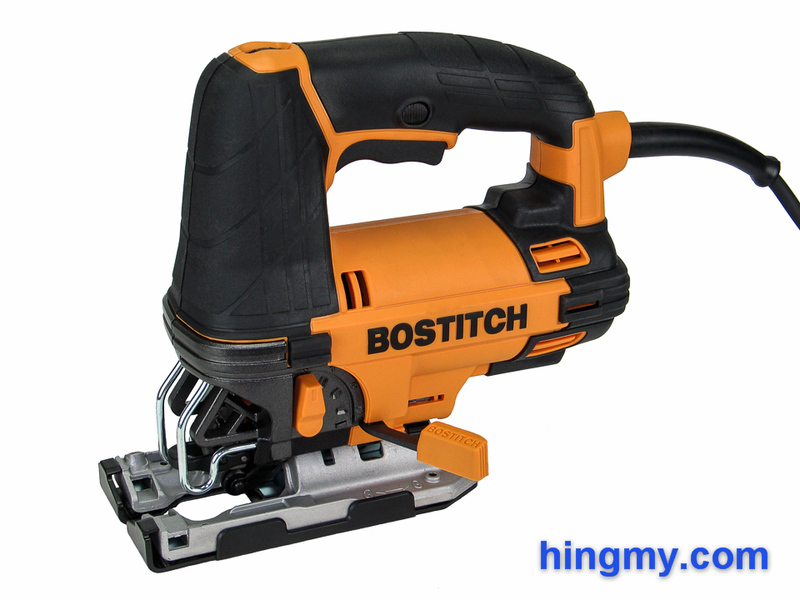 The BTE340K is a brand new model from Bostitch and the latest jigsaw to have made it into my woodshop. Let's take a look what the BTE340K adds to the jigsaw market. 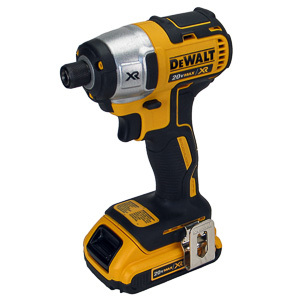 The BTE340K is a powerful jigsaw designed for job site use. 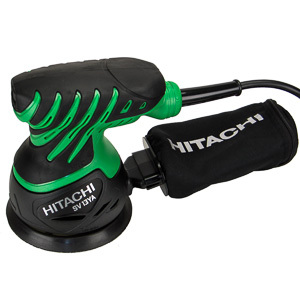 Its 6 amp motor and 3,200 rpm motor speed place it near the top on the spec charts. 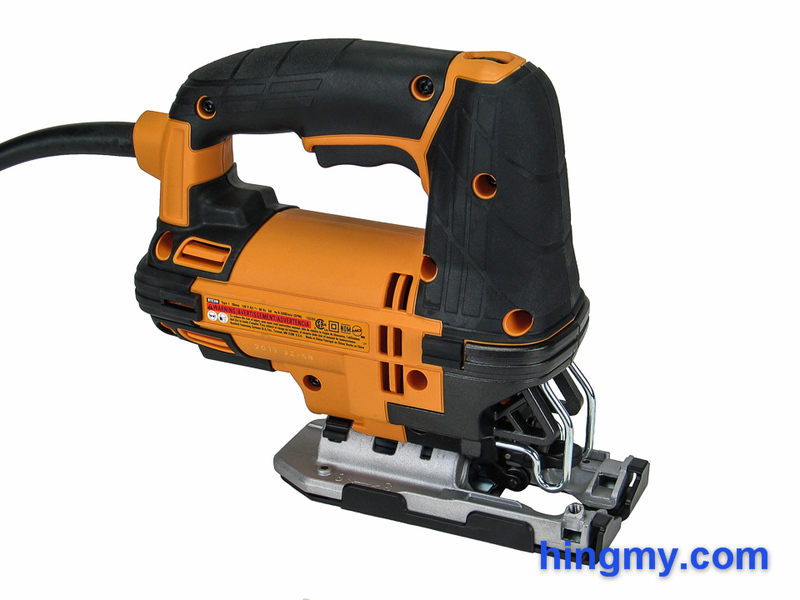 Built for the job site the jigsaw's finish level is best described as "tough". The hard plastic shell of the tool feels more durable than that of most jigsaws. Black rubber protects the exposed parts of the body from damage and forms the grip of the jigsaw. A couple of bumpers on each side keep the body of the jigsaw off the surface it is resting on. The only metal parts of the saw are the base plate, gear housing, and the motor. Put it all together and you'll arrive at a design you don't have to be careful with. This is a jigsaw that is meant to be used daily. It does not break easily or go out of alignment when being handled roughly. 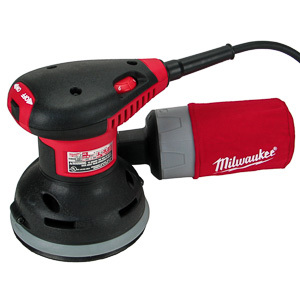 The cast magnesium shoe of the saw is covered with a stamped metal running plate for durability. 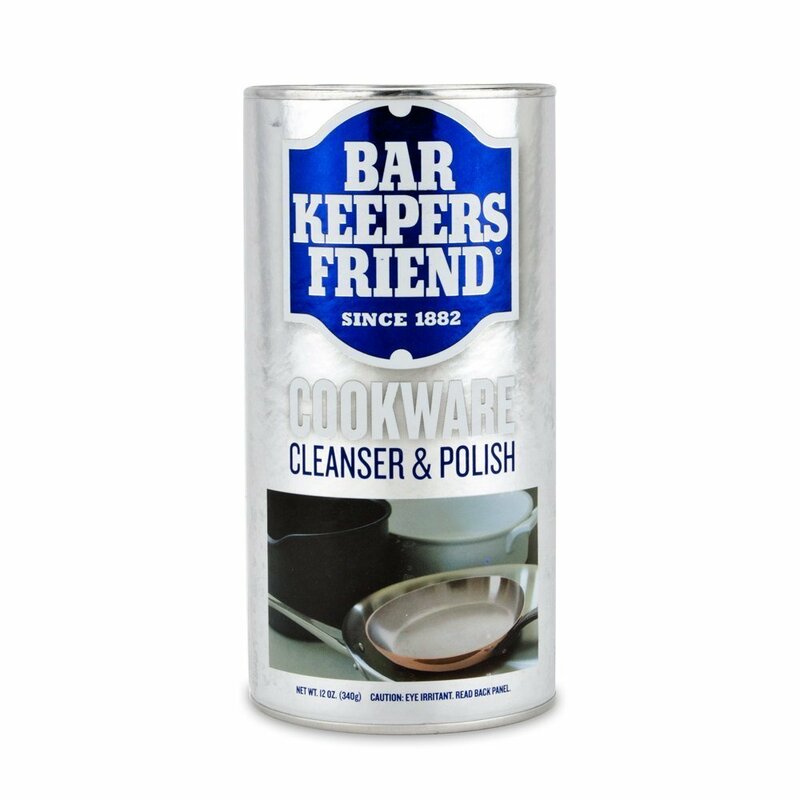 A removable plastic cover both reduces friction and prevents damage to delicate surfaces. 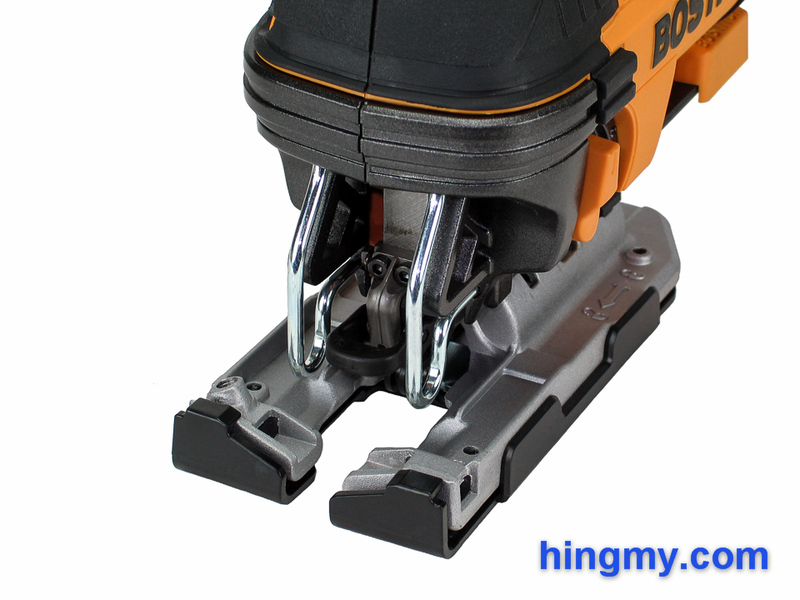 The bottom of the shoe is flat in all its configurations creating a stable cutting platform. 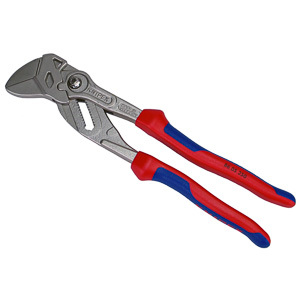 The saw uses a simple lever actuated chuck that accepts u-shank and t-shank blades. The chuck secures blades very well, but does not eject them when it is opened. At times you'll have to use pliers to extract a hot blade from the chuck, which is an inconvenient thing to do on the job site. A wheel at the top of the jigsaw controls the motor speed. Rotating the wheel selects a speed level between 0 and 3,200 spm in true variable speed fashion. Even small movements of the wheel translate into changes in motor speed. The stated minimum speed of 0 rpm creates the false impression that the saw can be used at a speed close to that. In practice the actual minimum speed of the BTE340K is well above 200 spm. Getting the saw to move slower is impossible. The BTE340K uses a binary trigger. The trigger is either in the off position, or the saw is cutting at full speed. This means there is no way to start the saw slowly by feathering the trigger. Changing the speed during a cut using the wheel is possible, but doing so requires two hands. The slowest speed setting of the BTE340K is still a lot higher than that of a saw equipped with a true variable speed trigger. Super fine work that depends on a very slow stroke speed is impossible to accomplish with this saw. The trigger lock button on the side of the D-handle is hard to use. While entirely functional the button is recessed too deeply. Engaging the lock takes a lot of effort. If you use the trigger lock on your jigsaw regularly, you'll definitely notice the sub-par engineering on this one. A selector switch in the traditional location dials in three levels of orbital motion. At the highest setting the orbital action increases the cutting speed of the saw dramatically. A LED light located in the nose of the saw illuminates the work area with bright white light. Visibility is excellent in all situations. Both sides of the blade are illuminated with only a small dark area right behind the blade souring the picture. Unfortunately the work light is linked to the motor of the of the saw. It activates when the trigger engages the motor, and immediately turns off when the trigger is released. Using the light to line up the blade for a cut is impossible. When the light is on, the saw is cutting. Changing the miter angle of the jigsaw takes only a few seconds to complete. Loosening the lock lever and pushing the plate forward unlocks it. The plate can now be positioned anywhere along the 45 to -45 degree range. Pushing the plate back a little engages one of the presets that locks the plate at a specific angle. There is a preset for -45, -30, -15, 0, 15, 30, and 45 degrees. Pushing the lever back into position locks the plate in place. Once locked even careless operation of the jigsaw won't move the plate out of alignment. The good thing about the mechanism is that it is possible to set the jigsaw to any angle and the plate will stay in place. The bad thing is that the angle presets are wildly inaccurate. Every stop has almost a degree of play in either direction making accurate cuts impossible. This is particularly bothersome when setting the saw to 0 degrees. Without measuring the angle at the blade with a square this is impossible to accomplish. On the construction site -1 to +1 degrees might pass for square, but in the woodshop this level of accuracy does not pass muster. After only a few minutes with the BTE340K it becomes abundantly clear that it is a saw made for the job site. It has the brute strength and speed required to work hard, but none of the accuracy and cut quality expected in a woodshop. At full speed and with the orbital action engaged the BTE340K chews through plywood at near record speeds. Only a few saws we have tested are faster. The cut the saw produces can be called "construction quality". Tearout is significant and the cut may be a little out of square in places, but none of these problems will make a framer do a double take. The angle presets are accurate enough to never cause a problem on a framing job. Dimensional lumber and other thicker materials are not a problem for the motor, but the saw's accuracy drops off the thicker the material gets. The BTE340K is not a saw for making accurate cuts on a large beam. If you need it to, the BTE340K will work all day long. I ran it for a couple of hours in the Hingmy woodshop. The gearbox got a little hot to the touch, but it was clear that the jigsaw had no problem surviving this treatment. Under normal conditions this is a jigsaw you can run all year long on moderate to tough jobs. Blade deflection is pronounced with all blade types. 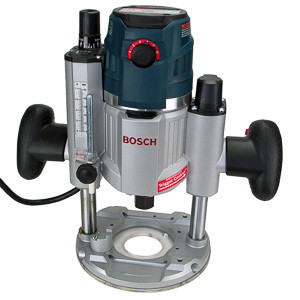 The design of the saw does not include any blade stabilization points below the chuck besides the orbit wheel. This translates into moderate blade deflection when cutting circles with short blades, and severe deflection in all situations using long blades. The only time the BTE340K produces a square cut is when cutting sheet goods in a straight line using a short blade. Any tearout is entirely a function of the blade. There are no features on the saw to prevent tearout. The closest work piece support is a full half inch away from the blade's impact point. The mediocre 13/16" stroke length further exacerbates this problem. This saw gets the job done with speed, rather than finesse. Running the saw at slow speed is simply impossible. Staring a delicate cut is excruciatingly difficult. Finish carpenters, woodworkers, and anyone who requires even a moderate level of accuracy should avoid the BTE340K. It is simply too hard to make this jigsaw work in these situations. The BTE340K kit includes a black plastic storage box. Similar to the DeWalt-style thin-wall plastic tool boxes in both look and feel, this box is durable enough to survive on the job site. The case protects the jigsaw from impact damage, but not the elements. The grey plastic latches are the weakest part of the design. They'll work well for years, but are likely to break long before the box itself does. Getting the jigsaw in and out of case takes little effort. The interior of the case is being dominated by the large compartment that holds the jigsaw and the power cord. Two somewhat small compartments in the front of the case hold standard length saw blades. There is no special compartment for long ones. 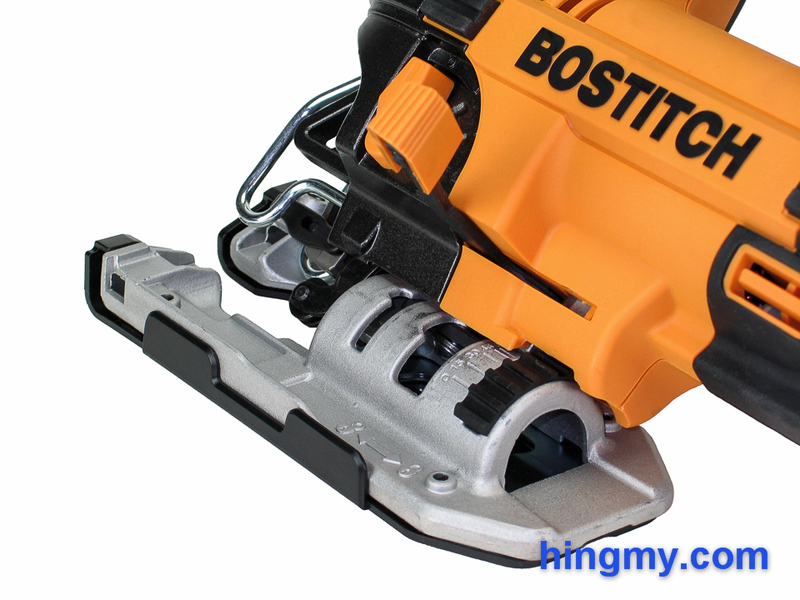 The Bostitch BTE340K jigsaw is a crude tool that is best used for rough cuts. 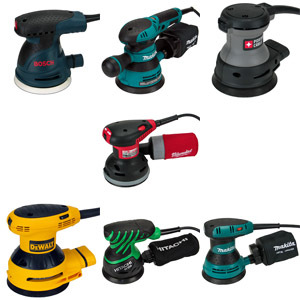 It has the power and durability needed to both be a useful tool on the job site, and survive the demands of a long workday. In the woodshop or in the hands of a finish carpenter the saw's abysmal accuracy makes it a poor choice for just about every task. The very poor single-speed trigger and the inaccurate angle presets further underscore the limited utility of the jigsaw away from the job site. This is a saw for a framing crew, who do not measure accuracy in fractions of a degree. 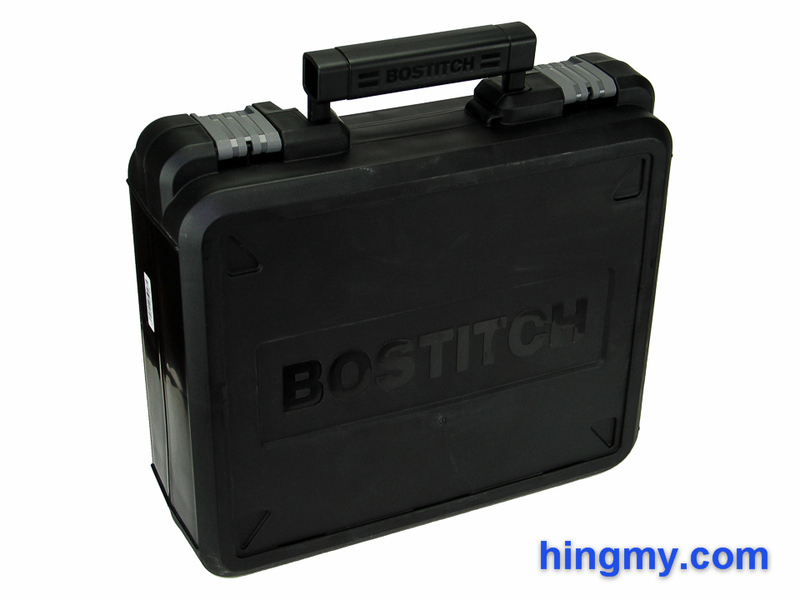 If that is you, Bostitch built a saw that will last a long time, can work all day long, and does not cost as much as the premium models.